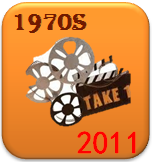 Enabling a Digital Life...: Movie Promotion Then and Now…. Movie Promotion Then and Now…. As I write this post, my mind reels back to good old days of single screen theatres. I can still remember the color and feel of the yellow cellophane in which popcorn was sold. Yes popcorn was just popcorn and not the mind boggling variant of chocolate or caramel, with or without butter, salted or sweet….and how I can forget the clinking of bottle openers on the soft drink glass bottles in wooden crates, inviting one to have thanda! But how would people know in those days if a movie is worth watching? The first Don (starring Amitabh Bachhan, Zeenat Aman, and Pran) was released in 1978 without any promotion and was initially a flop. But later it was a hit mainly because of positive word of mouth publicity. Movie producers of that era neither had the luxury of modern technologies for heavy promotion nor did they have tech savvy street smart professionals who could understand the nuances of marketing. Though it sounds clichéd; Content was the king. The staple fare available to spread the word about movie were Film magazines, newspaper, radio, theatrical trailers, movie premieres and hand painted posters. I still remember those hand painted movie billboards and posters, showing a prominent pink on the cheeks of the leading lady and a hair lock falling delicately on her forehead! Contrast it with present times where the brush that painted the poster (FYI…M.F Hussain started his career painting movie posters) got replaced by the swift mouse strokes on Adobe Photoshop. Today, movie industry is more organized, is growing at a healthy pace and is expected to touch INR 137 billion by 2014 (as per industry estimates). There is a whole array of artillery available to fire the imagination of the movie crazy nation. Consider the recent example of Bollywood flick Ra-One, from digital to traditional, no stone was left unturned. Typical means of digital media promotion widely employed by film studios in India and elsewhere in the world are; official website for the film, static and gif/flash ads on various websites, mobile value added services, online internet games, console games based on movie characters, buzz in the social media, online contests etc. Digital media gives so much flexibility to experiment, that execution of the promo strategy is just limited by imagination. Promo elements employed in traditional Print and TV/Radio media include paid advertisements, paid press releases, interviews, appearances on TV shows, behind-the-scene clips, viral videos, theatrical trailers….to name a few. Brand associations, movie merchandise, on ground activations, Retail POS (I came across a Ra-One burger combo in the theatre that was showing the movie!) are some of the other important promotional activities. From an era of Golden Jubilees and Silver Jubilees to times when success parties are thrown if the movie survives a weeks’ time with a good opening, underscores the importance of movie promotion in a decade of hyper competition, media fragmentation, and reducing attention span. And yes, Content is still the king! The Mutton Song and Ad Jingles! Navigating the Maze of Music Royalties..